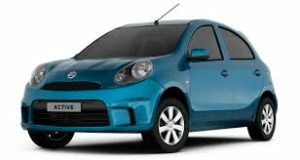 SAFETY Nissan has taken care of the safety bit, as the Micra Active has ABS and even airbag as a standard feature on the top model. This hatch is equipped with multiple safety features and its top end variant is solely safety related that its very name is XV Safety. The technology of making the engine inactive as soon as any unauthorized access is detected is an immobilizer, and this feature is incorporated into all its variants. It is also integrated with an advanced braking mechanism, which includes an anti-lock braking system with an electronic brake-force distribution that is coupled with brake assist too. This braking system is offered for only the higher end trim, XV Safety. The airbags which deploy in safeguarding the driver as well as the co-passenger from getting any impact out of a crash or otherwise is offered in the top end alone. Additionally, this trim is also given a driver seat belt warning indicator is available in the instrument cluster. The central door locking is offered in all the variants except for the base XE trim. Furthermore, these three variants are additionally offered with a speed sensing auto door lock. The follow me home headlamps help the occupants in the darker hours of the day in reverting back home safely without stumbling and this feature is incorporated into all the available trims as well. The warnings in the instrument cluster includes low fuel level warning indicator, a headlight-on warning indicator as well as a key remove warning notification. All these aspects put together makes this hatchback series, one of the safest and most affordable vehicle in this segment.